RAM FLAT® Compactors allow their users to significantly reduce their costs to dispose of hazardous and radioactive waste. 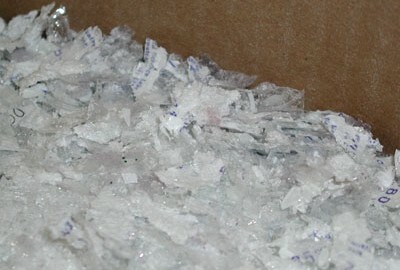 This is done by reducing the volume of the waste by compacting the material right into the drum. Only interested in crushing empty drums? No problem. Some of the RAM FLAT Compactor models are designed specifically to crush empty drums into metal pancakes. But the real bonus is the ability to configure one RAM FLAT Compactor to both crush empties and to compact waste into drums. Are you looking for a forklift attachment, a handtruck or another device that will allow you lift, rotate or otherwise manipulate the drum? S&G Enterprises, Inc. is a factory-authorized distributor of Morse Manufacturing Company – makers of innovative drum handling products since 1923. 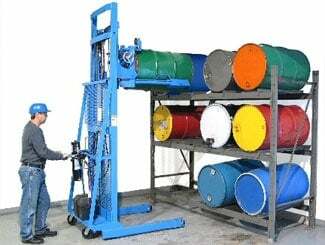 Morse carries a complete line of drum handling equipment. Having problems getting rid of spent aerosol cans? Did you know that even if you think the can is empty, it is still considered hazardous waste? For safe and quick disposal of aerosol cans, the Aerosolv is the only solution. 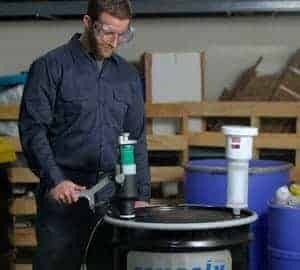 The Aerosolv punctures the aerosol can and evacuates the contents into a 55-gallon drum. 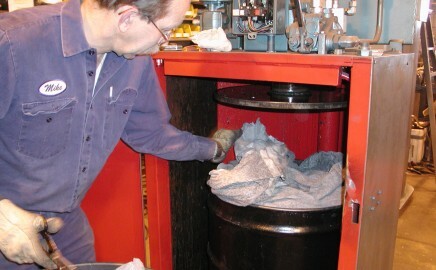 The liquid is collected in the drum ready for disposal, while a two-step filter that includes an activated charcoal stage for VOC’s adsorbs the propellants. An all-in-one solution to eliminate the cost and hassle of microscope slide disposal! The SlydEater is the first machine to exclusively pulverize glass slides and obliterate any identification affixed to those slides. The unrecognizable mound of glass dust can be tossed into regular trash, not in medical or red bag waste or expensive sharps containers. Welcome to S&G Enterprises, Inc.
RAM FLAT drum crusher models are available for someone generating a few drums a day to the site that needs to crush hundreds of drums per day. RAM FLAT waste compactors feature tall clearances above the drum allowing the operator to overfill the drums with waste material on every stroke. 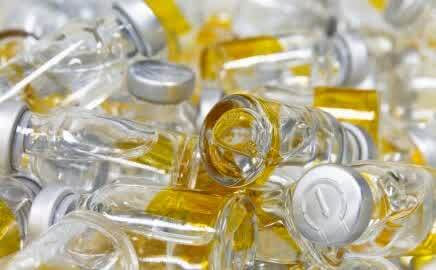 The Vyleater Vial Disposal System retrieves the liquid contents from many types of vials and small bottles used in laboratories and from pharmaceutical production lines. The Aerosolv Recycling System safely depressurizes aerosol cans allowing for EPA approved recycling of the can. The Slydeater effectively pulverizes microscope slides into unrecognizable dust. ID labels are also destroyed keeping your lab HIPAA compliant. Morse Drum Handling equipment features the most comprehensive product line of products to transport drums from one place to another. Go to our Order Online system to buy most parts and supplies for your equipment. The entire RAM FLAT Compactor product line is available under GSA contract #GS-07F-9890H.